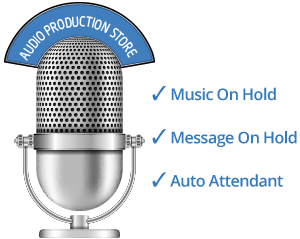 Retail Communications: Phone Systems, Contact Center | 8x8, Inc.
at record speed and ease. With the growing use of digital in retail, the need to be anticipate changing customer expectations is essential. But without a complete set of data across all customer and employee interactions, you might miss an opportunity to solve an emerging customer issue, or worse, leave a consumer without the help he or she needs. 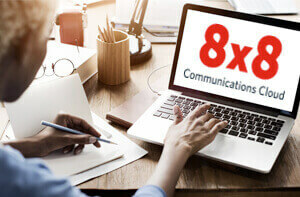 8x8 provides retailers, from single locations to growing franchises to national and international chains, with a single, consistent communications platform across in-store, office, and contact centre locations. We enable retailers to provide fast, intuitive service to their customers by removing the barriers within the business and allowing access to internal knowledge, providing consumers with faster response time and less friction. By unifying all communications streams, we allow greater insight across all interactions, giving you the data you need to make better business decisions. Managing disparate technologies across multiple locations is more than just time consuming and frustrating – it’s a major expense. Set your IT department free, by centralising administration of communications and collaboration tools, giving them the ability to work on higher value projects, instead of spending time maintaining an aging phone system. And by routing all calls through the cloud, 8x8 can significantly reduce costs without sacrificing quality. We needed a cloud technology partner with a comprehensive suite of secure, reliable and integrated global cloud communications and contact centre solutions to enable us to conduct business anywhere, anytime and in any manner to meet our customers’ needs. 8x8 fit the bill. The total monthly savings on our phone bill are over 35 percent. On its own this is very impressive, but when I add in the efficiency gains and customer experience improvements we’ve been able to achieve, it really confirms we made a great choice in 8x8! We used to have at least one restaurant down every single day. Now we have the most uptime of any McDonald’s franchise in the Indianapolis region. A restaurant environment is a bad place to host IT equipment… We really wanted to look at cloud and we searched the marketplace and 8x8 kept coming up. We’re incredibly flexible now… And in a matter of 3 months, the investment paid for itself.